Designed by Stelios Pseftogas of noon design, Greece. 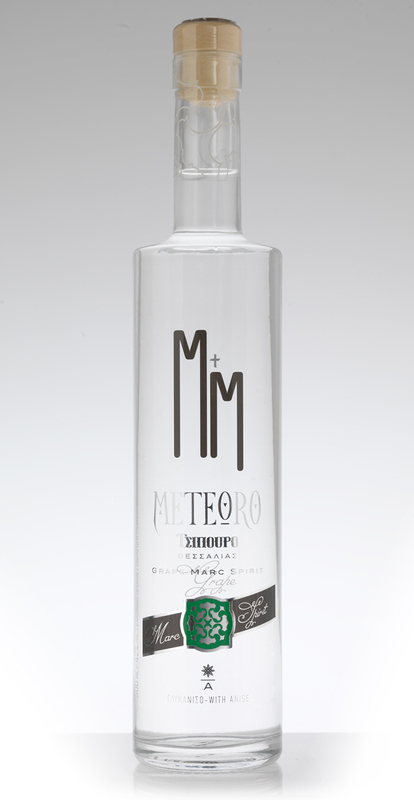 The double distillation of skim grapes results to a class of distillate that is known in Greece as Tsipouro. Its appearance and taste is similar to grappa. The particular brand has the name and the emblematic image of the 600-meter tall mystic rocks, the Meteora. 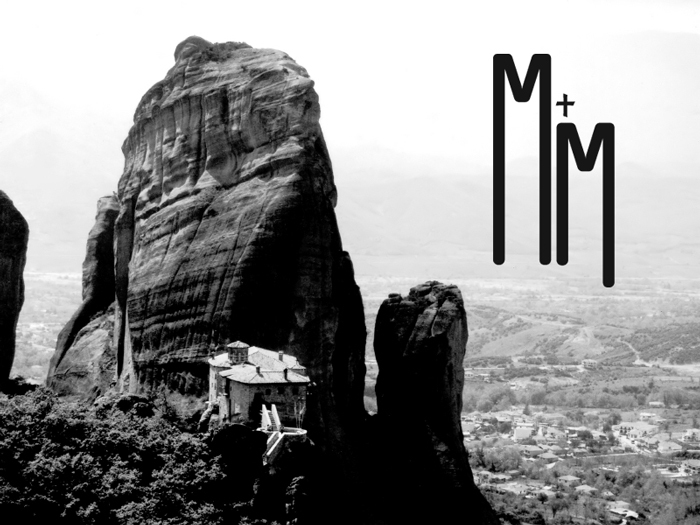 Located in central Greece, they are the ground where Orthodox monasteries were built in the 14th Century AD. The eremites that built and inhabited them felt protected on the top of the rocks, near the sky. 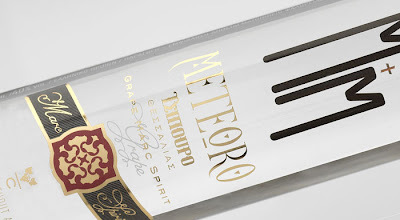 On the ground around the rocks lie the vineyards that produce the grapes used for the METEORO Wine and Tsipouro.